One thing I know is that race-neutral alternatives to affirmative action have not diversified college campuses. The latter half of the 1990s witnessed a spate of court decisions and public referenda outlawing the use of affirmative action in college admissions decisions. In response to a judicial ban on affirmative action imposed by the 5th Circuit Court, for example, the Texas Legislature passed a law guaranteeing admission to any state public university to all seniors who graduate in the top 10 percent of their high school classes. In force since 1998, the top 10 percent law disregards standardized test scores for students eligible for automatic admission. When the outcome of the 2003 Supreme Court decisions involving the University of Michigan’s affirmative action policies was uncertain, supporters touted the Texas law as a race-neutral strategy to increase campus diversity because it applies a uniform merit criterion to all high schools, whether rich or poor, large or small. Although diversity of the freshman class plummeted the year affirmative action was banned and diversity rebounded after the uniform admission law was implemented, it doesn’t follow that the percent plan is race-neutral or that it is responsible for the rebound. The percent plan capitalizes on Texas’s highly segregated high schools to boost minority representation at the state’s public flagships—University of Texas at Austin (UT) and Texas A&M University (TAMU). What’s more, both institutions began an aggressive outreach campaign that targeted poor high schools with low college-going traditions, offering scholarships to rank-eligible students. In Texas, high schools that fit this description tend to be predominantly black or Hispanic. On average, minority students are less likely to qualify for automatic admission if they attend integrated schools, but their chances are much higher if they graduate from predominately minority schools. The uniform admission law didn’t have uniform impacts at both public flagships. Representation of minority students rose at both premier campuses, but not equally. In fact, African-Americans and Hispanics were better represented at TAMU under affirmative action than the top 10 percent regime. Black and Hispanic enrollment at UT has returned to levels achieved before affirmative action was outlawed, but this is mainly because these minorities represent a much larger percentage of the college-eligible population and not because of the admission guarantee. Today, less than half of Texas high school graduates are white, and despite their elevated high school drop-out rates, Hispanics are currently more than one in three Texas high school graduates. Although many minority students qualify for admission to selective institutions under the percent plan because standardized test scores aren’t considered for top-ranked graduates, an admission guarantee doesn’t guarantee enrollment. This is particularly important in the quest to diversify campuses because minority students are more likely than their white counterparts to attend resource-poor high schools with low college-going traditions. Simply put, not enough minority students are taking advantage of the plan. Finally, the top 10 percent law did broaden access to the public flagships, as intended by the legislation’s architects. Today, a larger number of high schools send students to UT and TAMU than before the admission guarantee was in force. In fact, application rates of top-ranked graduates from affluent high schools rose, while application rates from top 10 percent graduates from poor schools remained constant (at UT) or fell (at TAMU). Apparently the playing field is more uneven than advocates of the law admit. At its 10th anniversary, the top 10 percent law has become as controversial as the race-sensitive admission regime it replaced. Critics from affluent districts claim the uniform admission law gives unfair advantage to highly ranked students from low-performing schools who are presumed less well prepared for high level college work compared with lower ranked students from competitive high schools. Support for the percent plan also has eroded among UT administrators, who complain that diversity in a broad sense is compromised when more than 80 percent of students are admitted using a single metric—top 10 percent high school class rank. There are many different arguments for (and against) programs designed to foster diversity in our nation’s colleges and universities. The major lesson for the country is that even in a majority minority state like Texas, no viable race-neutral alternatives currently exist. States like Michigan that are considering a percent plan after a decisive ballot initiative outlawed affirmative action should understand that the unintended consequences of a percent plan will likely outweigh the benefits. Fortunately, the 2003 Supreme Court Grutter decision upheld narrowly tailored consideration of race in college admissions, which is the most efficient and effective strategy to diversify college campuses. Do you remember the indecipherable teacher's voice from old Charlie Brown cartoons? That's what second grade sounds like to 7-year-old Marian Lora. n this country for all of a few weeks, she understands almost no English. But during her first 30 days of school in Framingham, that's all she will be hearing from teachers, under the requirements of a state law that seeks to minimize bilingual education in favor of immersing children quickly into the English language. That's one tough month for students and teachers alike, says Margaret Doyle, principal of the Brophy School, where Marian has just enrolled. "Following the law is just making it more difficult for those students in terms of time lost from the curriculum," said Doyle. During the month of English-only instruction, there are "many more trips to the bathroom, nurse's office. We've had kids crying, headaches, tummy aches," Doyle said. Framingham has more bilingual programs than any school district in the state, but Marian must wait a month to get into one under the six-year-old law. To be referred to a bilingual class, students younger than 10 must first spend 30 days in an English-only classroom. After that, parents or guardians can be asked to sign a waiver that would allow the children to go into bilingual classes if they are having problems with English-only instruction. In a bilingual classroom, a child can be taught in their native tongue alongside English. The waivers were meant to be the exception, but at Brophy they have become the rule. Doyle said parents pretty much always sign them, allowing the school to switch back to bilingual education, the system in place statewide for 31 years before the law changed. But in order to get there, students have to first trudge through those 30 days of English-only instruction. And that's where Marian Lora is now. In a recent math class, she joined seven classmates in playing "Go Fish." One child rubbed her temples, as the English instructions eluded her. At one point the teacher, Luz Vallejo, apparently exasperated, asked them to put down their cards and "listen," as she pointed to her ear. In English, again, she explained the card game - holding up fingers and making gestures to try to get the point across. "It doesn't make any sense," said Tony Marin, a bilingual special-education teacher at Brophy. "The kid is not even learning anything." Just sitting in school is not an education, according to Maria de Lourdes B. Serpa, a professor of education and special education at Lesley University and a former bilingual teacher. "To speak English, in my opinion, is not enough," said Serpa. "Students need to go to school and be educated. To be educated, they need to understand their teacher." Serpa said the deficiencies of immersion-only programs show up in the rising dropout rates and special-education referrals for English-language learners. "This law is really not working for most immigrant students," she said. There are other alternatives. At Brophy, a child could be put into a mainstream class, or into a "sheltered English" classroom, which is taught mostly in English by bilingual teachers who can explain concepts in Spanish or Portuguese when needed. Additionally, some other Framingham elementary schools offer English as a second language, where students are taught in English by specially trained teachers. But Brophy educators say most children who are new to English do better in the long run if they start off in bilingual classes, where they are taught in their native language as well, and ease into English. Jim Boulet Jr., executive director of English First, a Virginia-based lobbying group that opposes bilingual education, is on the other side of the debate. "When you're serious about teaching a language, you use immersion," he said. "Anyone will tell you the best time to learn a second language is when you are young." Children can practice their native language at home, but at school, anything other than English only hurts them, he said. 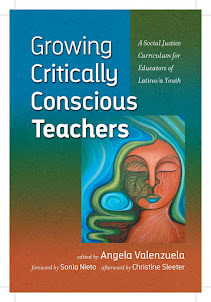 "Bilingual education was never really about teaching English. It was about minority language and cultural preservation. When a child is denied the right to learn English, you're guaranteeing he's going to be underemployed for the rest of his life," Boulet said. Ron Unz, a California software engineer who was the architect of the laws that targeted bilingual education in his home state, Massachusetts, and elsewhere, said the law has been a success in California, with rising test scores among immigrants. He said he hasn't followed the results in Massachusetts. "When children don't know math when they go to school, they are taught math," said Unz. "People think children who don't know English should be taught English." According to the state Department of Elementary and Secondary Education, bilingual education has mostly ended in Massachusetts, with Framingham a notable exception. "We are beginning to see some progress in English language acquisition statewide," said J.C. Considine, a department spokesman, by e-mail. "We can't necessarily say this is a result of the new law. No Child Left Behind has also focused schools, districts, and the state . . . more on all groups of students and the progress they are making." The challenge coming up, he said, is that there are more and more children statewide who are not fluent in English at a time when funding has been cut for teacher training. There is already a shortage of teachers trained to teach English as a second language or a sheltered English class, he said. The state gauges English language proficiency and progress toward that goal in every school district, explained Considine, through a system called "Annual Measurable Achievement Objectives. The Framingham district, which aggressively offers a bilingual option to families, exceeded its targets for both progress and attainment last year. Brophy, which has students in kindergarten through fifth grade, is also unusual in that it houses the Spanish language bilingual program for the district. So it naturally has higher numbers of non-native English speakers. More than half of the students at the school speak a first language that is not English. Framingham parents who want their child to hear English only from the first day usually choose one of the other elementary schools, according to Doyle. Like other newcomers, Marian Lora's path will likely take her to a bilingual classroom and then a sheltered classroom for two or three years before she enters a standard classroom. Recently there has been an annual average of about 35 to 40 newcomers, like Marian, with no English skills when they arrive, said Doyle. The numbers are higher this school year, but an exact count is not yet available. Marian is oblivious to all the policies and numbers that affect her. With an easy smile and laugh, she said through an interpreter that school is fun and she is happy living here with her grandmother and aunt. Dressed in a pink zip-up hoodie, small gold hoop earrings, and jeans decorated with embroidered flowers, Marian said she likes the cafeteria food, adores riding the school bus, and enjoys math class. She also said she is not homesick for the Dominican Republic, but hopes to return to her native Santo Domingo someday as a doctor so she can "take care of people." Although she has never seen snow, she's not interested and much prefers the warmth. Marian said she is eager to learn English but right now it's "a little bit funny" to her. "It's kind of funny because I don't understand." Every four minutes a student drops out of a Texas public school, according to a new report from the Intercultural Development Research Association. 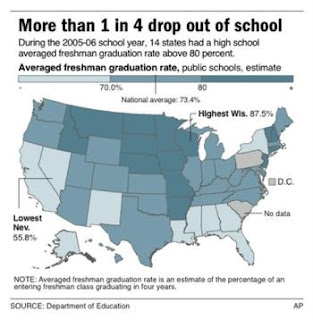 That means that, across the state, one-third of the students who began high school in fall 2004 left without a diploma before the end of the 2008 school year. The San Antonio-based IDRA has tracked school dropout rates for more than 20 years and says this year's numbers are no better than when the organization released its first report in 1986. In Bexar County, where the 40 percent attrition rate is higher than the state figures, 10,363 students in the Class of 2008 left school without a diploma. The vast majority were minorities. “If you look at where minority students go to school, you would see that too often minority students are concentrated and segregated in schools where there are fewer resources,” IDRA President Maria Robledo Montecel said. Robledo Montecel said schools need a more equitable funding system so they can recruit experienced teachers and foster more meaningful parent and community involvement if they are to do a better job of keeping students in school. “One of the most fundamental reasons for which students leave school is that they feel disconnected,” she said. That dropouts remain such a vexing problem has begun to catch the attention of officials outside the education sphere. Last month, mayors around Texas partnered with local schools and went walking door-to-door to persuade dropouts to return to school. Mayor Phil Hardberger led the charge here, in partnership with the San Antonio Independent School District. A legion of volunteers knocked on more than 1,000 doors and made contact with nearly 500 students. Since the walk, 100 students have returned to school. Thirty re-enrolled that day. He has said an educated work force drives the city's economic engine and, on the day of the walk, he persuaded two young women to return to Brackenridge High School. But both are struggling to stay in school. One of them, 17-year-old Yolanda Sanchez, started off thrilled at the prospect of an education. She made new friends and sought help with her homework from adults at her church. But the family pressures that prompted Yolanda to drop out last spring never went away, and starting school two weeks late meant she was immediately behind the other students. Staffers at Brackenridge have tried to help. An attendance officer keeps tabs on Yolanda, and Principal Linda Marsh bought her a uniform. But then her mother was hospitalized, and Yolanda's absences began to pile up. She said Tuesday that she plans to be back in school today. “Some of these campaigns are aimed at recovering students that have dropped out, but they soon fail because the students are brought back into the same system that disengaged them in the first place,” Robledo Montecel said. Still, she said she is encouraged by the mayor's focus on dropouts. “I'm glad that there is in San Antonio a recognition of the need to address the issue,” she said. "State Systems of Support Under NCB: Design Components and Quality Considerations"
"Help Wanted: State Capacity for School Improvement"
Since the turn of the century, Hispanics have accounted for more than half (50.5%) of the overall population growth in the United States -- a significant new demographic milestone for the nation's largest minority group. From April 1, 2000, to July 1, 2007, the Hispanic population grew by 10.2 million to 45.5 million, an increase of 29%. During this same period, the much larger non-Hispanic population of the U.S. grew by 10 million, an increase of just 4%. As of mid-2007, Hispanics made up 15.1% of the total U.S. population but accounted for a majority of the nation's total population growth since 2000. During the 1990s, the Hispanic population also expanded rapidly, but over the course of that decade its growth accounted for less than 40% of the rise in the nation's total population. There are several other noteworthy trends in Latino growth and settlement patterns. Until two decades ago, the nation's Hispanic population had been heavily concentrated in long-established areas of Hispanic settlement. In 1990, for example, almost three-quarters of the Hispanic population resided in just 65 of the nation's 3,141 counties. Beginning in the 1990s, the Hispanic population began to disperse across the U.S. -- most notably, establishing significant population centers in many counties in the South and Midwest that historically had very few Hispanics residents. This dispersal has continued in the new century. However, since 2000, the geographic patterns of Hispanic dispersal have differed somewhat from the patterns of the 1990s, according to a Pew Hispanic Center analysis of the most recent U.S. Census Bureau county population counts. The most notable difference is that Hispanic dispersion in this new century has been tilted more toward counties in the West and the Northeast than it had been in the 1990s; correspondingly, it has also been slightly less tilted toward counties in the South2 and Midwest. Despite this new tilt, in the current decade the South accounts for a greater share of overall Latino population growth than any other region. And together, the South and West still account for more than 80% of the Hispanic population growth in this decade, while the Northeast and Midwest account for just under 20%. This ratio was very similar in the 1990s. Another subtle difference in Hispanic settlement patterns in this decade compared with those of the 1990s has to do with an ever-growing concentration of Hispanic population growth in metropolitan areas. Looking just at counties that have had above-average Latino population growth since 2000, fully 94% are part of what the Census Bureau defines as a metropolitan area. In the 1990s, so-called metropolitan counties also loomed large in Latino population growth, but their share of growth among fast-growing Latino counties was a bit smaller -- 89%. It should be noted that under the Census Bureau's classification system, "metropolitan county" does not necessarily refer to a large city. Indeed, many of the "metropolitan counties" that have experienced the fastest rate of growth in their Hispanic population in this decade are either suburbs (typically, outer suburbs) or small or mid-sized cities. For example, the fastest-growing Hispanic county in the country in the current decade -- Frederick County, Va., whose Hispanic population has more than quadrupled since 2000 -- is in a small-city metropolitan area adjacent to Washington, D.C.
A handful of big cities have also played a sizable role in Latino population growth in this decade. But because these cities already had a large base of Hispanic residents at the start of the decade, the growth of their Latino population since then, while sizable in number, has been less dramatic in percentage terms. So, for example, the Latino population grew by more than 400,000 from 2000 to 2007 in just three counties: Los Angeles, Maricopa (Phoenix) and Harris (Houston). But when their Hispanic growth is measured as a rate rather than as an absolute number, none of those counties ranks in the top 400 of the nation's fastest-growing Latino counties in the current decade. For the purposes of this report, the Pew Hispanic Center has identified 676 fast-growing Hispanic counties among the nation's total of 3,141 counties. These counties all share two characteristics: a 2007 Latino population of at least 1,000; and an above-average Hispanic growth of at least 41% from 2000 to 2007. More than three-quarters (528) of these 676 fast-growing Hispanic counties also experienced fast Hispanic growth during the 1990s, exemplifying the continuity in Latino settlement patterns since 1990. At the same time, however, the addition of 148 counties experiencing rapid growth, as well as the cooling off of Hispanic population growth in some formerly rapidly growing counties, reflects the changes in the regional and metropolitan patterns in Latino growth in the new century. For example, some counties in Maine, Vermont and Massachusetts in the Northeast and in Montana, New Mexico and California in the West that have experienced fast Hispanic population growth in the new century were not fast-growers in the 1990s. In the South, too, Hispanics have dispersed to some new settlement areas in this decade -- perhaps most notably to several counties in Louisiana, whose Hispanic populations have sharply increased in the wake of Hurricane Katrina. Also, while the strong Hispanic growth that some parts of the Midwest experienced in the 1990s has continued into the new century, the formerly fast rates of Hispanic growth in other areas of that region -- especially in economically hard-hit counties in western Michigan and western Minnesota -- have fallen below average in the new century. These 676 fast-growing Hispanic counties have also experienced significant growth in their non-Hispanic populations. In the aggregate, the non-Hispanic population of these 676 counties has increased by 9.9 million since 2000, accounting for virtually all of the nation's 10 million increase in non-Hispanics during this decade. In short, growth begets growth, irrespective of ethnicity. The counties to which Latinos are dispersing in the new century are also attracting non-Latinos. Hispanics residing in these fast-growing Hispanic counties have somewhat different demographic characteristics than their Hispanic counterparts in older, established, but more slow-growing Hispanic counties. The most marked difference is in the adult gender balance. The slow-growing Hispanic counties have only slightly more adult male Latinos than adult female Latinos, 104 men for every 100 women. In contrast, in the fast-growing Hispanic counties there are 120 adult men for every 100 adult women. Also, immigrants make up a greater share of the Hispanic population in the fast-growing counties (42%) than they do in older, established Hispanic counties (39%). Similarly, a modestly higher share of Hispanics are not U.S. citizens in the fast-growing counties than in slow-growing Hispanic counties. However, in some respects Hispanics in the fast-growing areas resemble Hispanics in the slow-growing counties. The English language abilities and levels of high school completion of Latinos are nearly the same in both kinds of counties; so, too, is the poverty rate among Latinos. * Hispanic population growth in the new century has been widespread. The Hispanic population has grown in almost 3,000 of the nation's 3,141 counties. * At the same time, Hispanic population growth in the new century has been fairly concentrated. Hispanic population growth in just 178 counties accounts for 79% of the nation's entire 10.2 million Hispanic population increase. * In spite of the geographic dispersal of Hispanics, the Hispanic population continues to be much more geographically concentrated than the non-Hispanic population. In 2007, the 100 largest Hispanic counties were home to 73% of the Latino population. By contrast, the 100 largest non-Hispanic counties were home to just 39% of the nation's non-Hispanics. * By this measure, Hispanics are more geographically concentrated than the nation's black population. Nearly six-in-ten (59%) of the non-Hispanic black population live in the nation's 100 largest non-Hispanic black counties. Nationally, all Latino demographic sub-groups voted for Obama by heavy margins. According to the national exit poll, 64% of Hispanic males and 68% of Hispanic females supported Obama. Latino youth, just as all youth nationwide, supported Obama over McCain by a lopsided margin -- 76% versus 19%. Obama carried the Latino vote by sizeable margins in all states with large Latino populations. His biggest breakthrough came in Florida, where he won 57% of the Latino vote in a state where Latinos have historically supported Republican presidential candidates (President Bush carried 56% of the Latino vote in Florida in 2004). Obama's margins were much larger in other states with big Latino populations. He carried 78% of the Latino vote in New Jersey, 76% in Nevada, and 74% in California. In an election year when voter participation rose across the board, Latinos increased their share of the national vote to 9% from 8% in 2004 according to the national exit poll. In several states, however, Latinos represented a much larger share of voters this year than in 2004. The largest increases in the share of voters who are Hispanic occurred in the states of New Mexico (9 percentage points higher), Colorado (5 points higher) and Nevada (5 points higher), all three battleground states in this year's election. But even though McCain's Latino vote fell well below that of President's Bush's in 2004, it was still much higher than the 21% share of the Hispanic vote that Sen. Robert Dole received as the GOP presidential nominee in 1996. McCain's Latino vote this year was similar to the 30% share of the Latino vote that GOP congressional candidates received in 2006. Find a description of the methodology and charts showing exit poll results for the Latino vote in 9 states at pewhispanic.org. 1 The analysis in this report is limited to states with sufficiently large Hispanic samples in state exit polls. These states include Arizona, California, Colorado, Florida, Illinois, Nevada, New Jersey, New Mexico, and Texas. Voter survey results from the national and state exit polls were obtained from CNN's Election 2008 website at 1 pm on Wednesday, November 5, 2008. 3 There is continuing uncertainty over whether President Bush received 40% of the Hispanic vote in 2004, as indicated by exit polls in the 50 states and the District of Columbia conducted on Election Day, or 44%, as indicated by the nationwide National Election Pool exit poll. Reasons for the differing estimates are spelled out in "Hispanics and the 2004 Election: Population, Electorate and Voters," by Roberto Suro, Richard Fry and Jeffrey Passel (2005). 4 Susan Minuskin and Mark Hugo Lopez, "The Hispanic Vote in the 2008 Democratic Presidential Primaries," Pew Hispanic Center, June 2008. 5 Mark Hugo Lopez and Susan Minuskin, "2008 National Survey of Latinos: Hispanic Voter Attitudes," Pew Hispanic Center, July 24, 2008. Mexico is experiencing a ''brain drain'' as some of its brightest citizens flee to the United States. DALLAS -- For years, Mexico's relatively weak economy has pushed thousands of low-wage workers toward the United States. Now, worries about Mexico's long-term direction are pushing highly educated workers on the same path. The brain drain threatens Mexico's prosperity, but it is creating more jobs in places like Dallas. Juan G. Rolon is part of the exodus. Living in a place like Dallas never crossed his mind as he was growing up, Rolon said. But after attending an elite Mexican university, he was recruited by a Delaware-based software firm. Today, a new U.S. citizen and homeowner, he's creating jobs for North Texans as a partner in a Dallas high-tech company formed with former classmates from Mexico. He has no intention of returning to Mexico anytime soon. ''I guess you can say that in some way, we're giving up on Mexico,'' he said. Today's Mexican immigrants come increasingly from college campuses, including Rolon's alma mater, the prestigious Tech de Monterrey, or Monterrey Institute of Technology, known as Mexico's MIT. Many of these well-educated immigrants say they're exiling themselves from a country that has failed to close the income and opportunity gap with its wealthy northern neighbor or provide basic security to its population. The scale of the current brain drain has not been seen since the 1982-86 economic crisis in Mexico, according to U.S. and Mexican studies. An estimated 14,000 of the 19,000 Mexicans with doctorates live in the United States, many in North Texas, according to the International Organization for Migration, part of a Swiss-based organization that studied the exodus of educated Mexicans to the United States, and the office of Mexico's undersecretary of education. More than 400 recent graduates of Tech de Monterrey call North Texas home. They join other well-educated and highly trained Mexicans from other top universities. ''It's going from an issue of concern to one of alarm,'' said Juan Artola, chief of the International Organization for Migration. The number of Mexicans making a run for the United States has nearly doubled to an estimated 500,000 a year from 275,000 10 years ago. Nearly half are specialists or professionals, Tuiran said. Many come legally, through special work visas. Dallas seems to be benefiting from that exodus of talent. A drive along and near North Central Expressway with chef Espartaco ''Taco'' Borga provides evidence. There's Taqueria La Paloma, owned by Mexico City native Mario Ramirez near Meadow Road, and Borga's three restaurants, La Duni Latin Cafe on McKinney Avenue and La Duni Latin Kitchen and Baking Studio on Oak Lawn Avenue, and his latest venture, Alo Cenaduria and Piqueos at Knox Avenue. There's Ramir Camu's graphic design office, and Motopia, a new coffee bar at Fitzhugh that's become a magnet for high-end expatriates. These businesses have two things in common: The owners have college degrees, and they're creating jobs for both Mexicans and Americans. Camu, past president of the Tech de Monterrey local alumni association, said a culture of opportunity that rewards hard work attracts budding entrepreneurs to the United States. For these young professionals, the free enterprise system works -- particularly when the system is not tainted by state and public monopolies and the patronage that goes with them, as is the case in much of Mexico. Paradoxically, Mexico has never looked so promising, at least on paper. The economy is growing, albeit with a few hiccups caused by the reversals in the United States. More students are attending school and graduating. The middle class is growing. In his visit to Dallas last spring, President Felipe Calderón vowed to create millions of jobs. He said those positions, coupled with Mexico's declining birth rate, might someday stem the flow of immigration, both legal and illegal. Mexico is trying to reverse the brain drain -- or to at least hang on to the coattails of its sons and daughters. As part of the Mexicans Abroad Program, a government effort aimed at strengthening ties with Mexican expatriates, the new Red de Talentos (Network of Talents) targets Mexican entrepreneurs. The idea is to encourage investment in Mexico to create jobs there. North Texas newcomers include Maria del Pilar Mendoza, 36, who arrived in Dallas two years ago planning to spend a week taking care of her sister's children. She soon realized that she was making more in one week as a baby sitter than as a head registered nurse in her hometown of Guadalajara, where she earned $1,300 a month. She now lives in Dallas and works at the Mexican Consulate. She's taking English classes and studying for a state exam to certify her as a nurse in Texas. For Rolon and his wife, Fabiola Espronceda, the idea of returning to Mexico is becoming more distant. A native of the coastal state of Colima, Rolon was raised in Mexico City, speaking English in hopes of someday landing a job with a multinational corporation in Mexico. He once believed that if only there were a true democracy in Mexico, if only there were a more open economy, if only Mexico were more closely linked to the United States through a free trade agreement, if only there were more jobs and no peso crises -- then Mexican workers would stay home to raise their families and build their country rather than making the journey to the United States. Now that many of those things have become a reality, the old ''if onlys'' have been replaced by new ones. If only jobs in Mexico paid better, if only free trade brought more benefits, if only the political parties weren't always fighting, if only there weren't so many drug killings. And if only there wasn't such a demand in the United States for young, ambitious students like him. Once implemented, the new battery of tests is expected to guarantee higher competency in core school subjects, lower dropout rates and free up millions of education dollars. Students may take the exams - which are modeled on existing AP or International Baccalaureate tests - as many times as they need to pass. Or those who want to go to a prestigious university may stay and finish the final two years, taking a second, more difficult set of exams senior year. "We want students who are ready to be able to move on to their higher education," says Lyonel Tracy, New Hampshire's Commissioner for Education. "And then we can focus even more attention on those kids who need more help to get there." With its new assessment system, New Hampshire is adopting a key recommendation of a blue-ribbon panel called the New Commission on Skills of the American Workforce. In 2006, the group issued a report called Tough Choices or Tough Times , a blueprint for how it believes the U.S. must dramatically overhaul education policies in order to maintain a globally competitive economy. "Forty years ago, the United States had the best educated workforce in the world," says William Brock, one of the commission's chairs and a former U.S. Secretary of Labor. "Now we're No. 10 and falling." As more and more jobs head overseas, Brock and others on the commission can't stress enough how dire the need is for educational reform. "The nation is running out of time," he says. New Hampshire's announcement comes as Utah and Massachusetts declared that they, too, plan to enact some of the commission's other proposals, such as universal Pre-K and better teacher pay and training. Still more states are expected to sign on in December. And the largest teacher union in the U.S., the National Education Association, is encouraging its affiliates to support such efforts. Some reform advocates would like to see the report's testing proposals replace current No Child Left Behind legislation. "It makes accountability much more meaningful by stressing critical thinking and true mastery," says Tracy. No date has been set for when New Hampshire will start administering the new set of exams, which have yet to be developed. But to achieve the goal of sending kids to college at 16, Tracy and his colleagues recognize preparation will have to start early. Nearly four years ago, New Hampshire began an initiative called Follow the Child. Starting practically from birth, educators are expected to chart children's educational progress year to year. In the future, this effort will be bolstered by formalized curricula that specify exactly what kids should know by the end of each grade level. That should help minimize the need for review year to year. It will also bring New Hampshire's education framework much closer to what occurs in many high-performing European and Asian nations. "It's about defining what lessons students should master and then teaching to those points," says Marc Tucker, co-chair of the commission and president of the National Center for Education and the Economy in Washington. "Kids at every level will be taking tough courses and working hard." Right now, Tucker argues, most American teenagers slide through high school, viewing it as a mandatory pit stop to hang out and socialize. Of those who do go to college, half attend community college. So Tucker's thinking is why not let them get started earlier? If that happened nationwide, he estimates the cost savings would add up to $60 billion a year. "All money that can be spent either on early childhood education or elsewhere," he says. Critics of cutting high school short, however, worry that proposals such as New Hampshire's could exacerbate existing socioeconomic gaps. One key concern is whether test results, at age 16, are really valid enough to indicate if a child should go to university or instead head to a technical school - with the latter almost certainly guaranteeing lower future earning potential. "You know that the kids sent in that direction are going to be from low-income, less-educated families while wealthy parents won't permit it," says Iris Rotberg, a George Washington University education policy professor, who notes similar results in Europe and Asia. She predicts, in turn, that disparity will mean "an even more polarized higher education structure - and ultimately society - than we already have." It's a charge that Tracy denies. "We're simply telling students it's okay to go at their own pace," he says. Especially if that pace is a little quicker than the status quo. This article doesn't give information on the number of students attending these charters that have completed the A-G requirements, and are eligible for admissions into the UC or CSU system. If you take a look at the data from the UC ACCORD's Opportunity Indicators report (2007) you'll see that some charters are doing well at getting students to pass state assessments, and in some cases outperforming traditional schools, but the number of their students who are ready to go on to higher education are not as impressive. Recent efforts to get more black and Hispanic students into New York City’s elite public high schools have fallen short, with proportionately fewer of them taking the admissions exam and even lower percentages passing it. The performance gap persists even among students involved in the city’s intensive 16-month test prep institute, designed to diversify the so-called specialized high schools, including the storied triumvirate of Stuyvesant, Bronx Science and Brooklyn Tech. Parents of black and Hispanic students have long complained about the lack of diversity in the elite schools’ enrollment, and the Department of Education promised two years ago to study whether the demographic lopsidedness was the result of certain groups’ doing poorly on the grueling two-and-a-half-hour test, not taking the exam in high numbers, or simply choosing not to attend the schools. The city abandoned that effort, but an analysis by The New York Times shows that not only do blacks and Hispanics lag behind whites and Asians in succeeding on the exam, they are far less likely to take it. Perhaps most surprising is a close look at the students enrolled in the city’s Specialized High Schools Institute, created 14 years ago to prepare students for high school and recently expanded by Schools Chancellor Joel I. Klein. Black and Hispanic students who attend the institute are more likely to succeed on the test. While 90 percent of Asians and 85 percent of white students at the institute take the test, 65 percent of blacks and 70 percent of Hispanics do; last year, of the institute graduates taking the test, 58 percent of the Asians, 49 percent of whites, 21 percent of Hispanics and 19 percent of blacks were offered admission. Deputy Mayor Dennis M. Walcott said the data showed there was work to be done both to get black and Hispanic students to take the test and to help them pass it. Instead, the schools that make up the upper crust of the public education universe belie the system they are part of and the city where they reside, and the disparity between the races has grown even more pronounced over the past decade. In this city of 1.1 million public school students, about 40 percent are Hispanic, 32 percent are black, 14 percent are Asian and 14 percent white. More than two-thirds of Stuyvesant High School’s 3,247 students are Asian (up from 48 percent in 1999). At Brooklyn Technical High School, 365 of the 4,669 students, or 8 percent, are Hispanic; at the Bronx High School of Science, there are 114 blacks, 4 percent of the 2,809-student body. The other schools in the elite group, considered a second tier, are more diverse: Brooklyn Latin School, for example, which became a specialized high school in 2007, is 23 percent Hispanic and 32 percent black (though it has 183 students, a fraction of the top three). The portrait of test-takers from public schools is closer to the overall enrollment, but hardly a mirror: 28 percent of last year’s were black, 23 percent Hispanic, 30 percent Asian and 19 percent white. The test-prep institute, which includes a full-time five-week summer session and twice-a-week workshops during the school year, was a core part of the city’s strategy to diversify the ranks of the elite schools. But the intensive program has been hampered by a Supreme Court decision last year that ordered districts to remain race-neutral in efforts to diversify schools. Now the program gives preference to students based only on family income, not race. And enrollment in the institute has fallen to 2,800 students at 10 sites this year, from 3,800 students at 17 sites in 2006. Education officials said that they reduced the number of sites to standardize the curriculum and that despite the drop in enrollment, more students were currently receiving the full test-prep regimen. The test itself, consisting of 45 verbal questions and 50 math questions, measuring students’ ability, for instance, to put sentences in order and discern geometrical angles, has also become a subject of criticism. Joshua N. Feinman, an economist who graduated from Stuyvesant and is the parent of a Bronx Science junior, recently released a study challenging the validity of the test, saying it had not undergone normal predictive bias studies to see if it was skewed toward any gender or racial groups. The study revives complaints from the 1960s, when civil rights groups charged that the tests were unfair to black and Puerto Rican children and should not be the only criterion determining access to the schools. Department of Education officials said they were confident that the test, which is manufactured by Pearson and has been used since the 1970s, was reliable. On a recent Saturday morning, as hundreds of anxious students lined up for the test outside the stately stone-gray facade of Brooklyn Tech, parents and students attributed the racial disparities to a lack of private tutoring, subpar middle schools that do not expose students to test material, transportation problems, cultural differences and a simple lack of motivation on the part of some students. Tiffany Gomillion, a single parent, said families like hers were at a disadvantage. Her 15-year-old son, Dalon, attends Our Lady of Miracles, a Catholic school in Canarsie, Brooklyn, but is hoping to go to a specialized school. Dalon, who is black, began studying for the test days before it was given. He was the last to arrive at Brooklyn Tech, a few minutes before its scheduled start, because he and his mother had trouble finding the school, which is near Fort Greene Park. Terrence Busby Jr., 13, who is also black, said many of his friends did not take the test because they did not know how to get to the school or have a parent available to take them. “They can’t get there or they don’t feel like they’re smart enough,” he said, suggesting that the city make the test mandatory for all eighth graders. Ashley Wright, a black 13-year-old who has her eyes on Brooklyn Tech and Stuyvesant, said many of her black and Hispanic friends were simply not motivated to do well on the test. “I see a lot of people who have an opportunity at a good life, but they mess it up,” she said, her legs shaking in anticipation of the exam. Marcello Lucero was killed late Saturday night near the commuter railroad station in Patchogue, N.Y., a middle-class village in central Long Island. He was beaten and stabbed. The friend who crouched beside him in a parking lot as he lay dying, soaked in blood, said Mr. Lucero, who was 37, had come to the United States 16 years ago from Ecuador. The police arrested seven teenage boys, who they said had driven into the village from out of town looking for Latinos to beat up. The police said the mob cornered Mr. Lucero and another man, who escaped and later identified the suspects to the police. A prosecutor at the arraignment on Monday quoted the young men as having said: "Let's go find some Mexicans." They have pleaded not guilty. The county executive, Steve Levy, quickly issued a news release denouncing this latest apparent hate crime in Suffolk County. That should be the first and least of the actions he and other leaders take. A possible lynching in a New York suburb should be more than enough to force this country to acknowledge the bitter chill that has overcome Latinos in these days of rage against illegal immigration. The atmosphere began to darken when Republican politicians decided a few years ago to exploit immigration as a wedge issue. They drafted harsh legislation to criminalize the undocumented. They cheered as vigilantes streamed to the border to confront the concocted crisis of Spanish-speaking workers sneaking in to steal jobs and spread diseases. Cable personalities and radio talk-show hosts latched on to the issue. Years of effort in Congress to assemble a responsible overhaul of the immigration system failed repeatedly. Its opponents wanted only to demonize and punish the Latino workers on which the country had come to depend. A campaign of raids and deportations, led by federal agents with help from state and local posses, has become so pervasive that nearly 1 in 10 Latinos, including citizens and legal immigrants, have told of being stopped and asked about their immigration status, according to the Pew Hispanic Center. Now that the economy is in free fall, the possibility of scapegoating is deepening Hispanic anxiety. It is not yet clear how closely connected Mr. Lucero's murder is to this broad wave of xenophobia. But there is both a message and opportunity here for officials like Mr. Levy, an immigration hard-liner whose relations with his rapidly growing Latino immigrant constituency have been strained by past crises and confrontations. Deadly violence represents the worst fear that immigrants deal with every day, but it is not the only one. It must be every leader's task to move beyond easy outrage and take on the difficult job of understanding and defending a community so vulnerable to sudden outbreaks of hostility and terror. Dozens of immigrant advocates from across the country convened in Washington yesterday to call on President-elect Barack Obama to halt work-site immigration raids and fulfill campaign pledges to offer the estimated 12 million illegal immigrants in the United States a path to citizenship within his first year in office. Representatives of the Fair Immigration Reform Movement, a coalition of grass-roots organizations from Los Angeles, New York and the Washington area, also announced plans to mobilize tens of thousands of immigrants and their supporters for a demonstration on the Mall on Jan. 21, the day after Obama's inauguration. "We voted in the millions, and now we're going to demand progress in the millions," said Angelica Salas, director of one of the allied organizations, the Coalition for Humane Immigrant Rights of Los Angeles, at a news conference to publicize the movement's efforts. The last attempt by Congress to overhaul the immigration system foundered in spring 2007 amid a storm of angry phone calls from constituents complaining that the legalization component amounted to an unacceptable "amnesty" for lawbreakers. And several members of the coalition acknowledged yesterday that the tanking economy had further complicated their efforts. However, they said they were also confident that the record participation of Hispanic and immigrant voters in last week's elections would translate into greater political clout. Turnout among Latinos -- who tend to favor legalizing undocumented immigrants -- increased by 30 percent from the 2004 presidential race. Two-thirds of the Latino vote went to Obama, compared with barely more than half for the 2004 Democratic nominee, Sen. John F. Kerry (Mass.). And Latinos proved particularly helpful to Obama and other Democrats in the battleground states of Nevada, New Mexico and Colorado. "Historically, we've never had legislative progress on immigration during an economic recession," said Chung-Wha Hong, executive director of another alliance member, the New York Immigration Coalition. "On the other hand, we've never had these kinds of numbers turn out at the polls. . . . The immigrant and Latino vote has permanently established itself as part of the electoral calculus." Although Hong and the other speakers said they did not expect Obama to tackle immigration legislation within his first 100 days, they outlined several executive decisions such as the moratorium on immigration raids that they hoped he would take immediately. These included devoting more resources to clearing up a backlog of visa applications, improving conditions at immigrant detention facilities and suspending the Bush administration's recent decision to begin mailing notices to 140,000 employers of workers with suspect Social Security numbers, warning them that they have 90 days to resolve the discrepancies or fire the workers. "We need an end to these harsh tactics that don't work," Salas said. "Americans have shown that they want practical solutions." More than 1.3 million college-educated immigrants in the United States are unemployed or working in unskilled jobs because they are unable to make full use of their academic and professional credentials, MPI reports in the first assessment yet of the scope of the "brain waste" problem. The report analyzes and offers possible solutions for the credentialing and language-barrier hurdles that deprive the US economy of a rich source of human capital at a time of increasing competition globally for skilled talent. One in five college-educated immigrants in the United States is unemployed or working in an unskilled job such as a dishwasher, fast-food restaurant cashier or security guard, depriving the U.S. economy of the full potential of more than 1.3 million foreign-born workers, according to a study released yesterday. Immigrants in the Washington area are among the most educated in the country, and the plight of those who are underemployed is familiar to anyone who has gotten a ride from D.C. cabdriver with an engineering degree from Ethiopia or had a car parked by a garage attendant who used to practice law in El Salvador. However, the report by the Washington-based Migration Policy Institute is the first to quantify the extent of the problem. Highly educated Latin American and African immigrants fare far worse in the job market than Europeans or Asians, the authors said. Almost half of recently arrived college-educated Latin Americans hold unskilled jobs, as do more than one-third of those who have been in the country for more than 10 years. The problem persists even when only immigrants who are in the country legally are considered. Construction worker Grego Pineda, who fled politically motivated death threats in his native El Salvador seven years ago, said his difficulty learning to speak polished English is the only obstacle to resuming his former career in law and banking. Pineda, 45, who has won international literary prizes for his essays in Spanish, was once on the board of a public bank and was the owner of a flourishing law practice, a house in one of the San Salvador's most exclusive neighborhoods and a vacation place by the beach. So it came as a shock when the only job he could find in the Washington area was as a laborer with La Plata-based Facchina Construction Co. "The first year was incredibly hard," Pineda said in Spanish. "You work in everything from the snow to the extreme heat, and there were two or three times that I honestly found myself tearing up at the thought that I was doing this hard labor that had nothing to do with my studies." To keep up his spirits, Pineda said would try to recite scraps of poetry and operas while he worked. "It was a way to stimulate my mind while my body was doing this rote work." Pineda is grateful to managers at Facchina for recognizing his potential and paying for him to take the technical classes necessary to rise through the ranks. Today, he is a regional safety manager and speaks proudly of helping prevent accidents. Still, he said yesterday, shouting above the clang of metal at a construction site in Rosslyn: "I'm not satisfied. I love the law, and my heart will be constricted until I can practice again." Although African immigrants are more likely to hold high-skilled jobs than Latin Americans, they have the highest unemployment rates of all foreign-born groups. By contrast, employment patterns of well-educated Europeans are virtually indistinguishable from their U.S.-born counterparts, regardless of how long they have lived in the United States. Asian immigrants educated abroad do only slightly worse. Michael Fix, a co-author of the study, said discrimination against Latinos and Africans might affect how they do in the job market, compared with Europeans and Asians. But he said much of the gap can be explained by the language skills and immigration circumstances common to people from each region. For instance, highly skilled immigrants who speak only limited English are twice as likely to work in an unskilled job as those who are proficient in English. And 44 percent of Latin Americans educated at foreign colleges speak English poorly or not at all, compared with 32 percent of Europeans and 23 percent of Asians. Africans have the best language skills of any group. Only 15 percent speak English poorly or not at all. But it appears that this advantage is swamped by a disadvantage: Only 10 percent of the Africans are sponsored for entry by employers. By comparison, 42 percent are sponsored by family members, and almost a third are admitted through a government lottery program. Immigrants entering on such visas often lack the professional networks needed to find a job in their field. This is also a challenge for college-educated Latin Americans, who are the least likely to be sponsored by employers -- with only 6 percent receiving such visas, compared with 16 percent of Europeans and 35 percent of Asians. High school teacher Kalé Koene, a native of Togo, said that if he had known someone in the education field, he would probably have acquired certification and resumed teaching within a year of seeking political asylum in the United States in 2004. "It's not just that I didn't know the process [of becoming certified]. I didn't even know to find the information," he said. So Koene, who started with the District school system as a French teacher in August, spent his first four years in the United States working at a wide variety of jobs, including busboy and cultural consultant to the U.S. Marines. Cultural barriers also hamper newcomers, said Jane Leu, executive director of Upwardly Global, a nonprofit organization that helps highly educated immigrants find work in New York, San Francisco and Chicago. Foreign-born job seekers often have difficulty engaging in the self-promotion and personal revelation required in many American job interviews, said Leu, whose group links applicants with mentors in their fields and offers interview training and help with résumé preparation. "A typical interview question is, 'Tell me about a time you made a mistake and how you learned from it,' "she said. "That's not a question asked in other countries. You don't talk about mistakes." Refugees often face the highest hurdles because they lack even the cushion of financial support from family. Vu Dang, director of the International Rescue Committee's Washington area refugee resettlement office, said this obstacle has proved particularly vexing to Iraqi refugees arriving in recent months. They receive a three-month stipend from the U.S. government, at best. The resettlement office has "to acclimatize them to the reality that whatever they were in their home country is irrelevant," Dang said. "They need to find a job right away just to pay their rent, and those kind of jobs are going to be jobs in hotels and restaurants that pay a little bit over minimum wage." Fix and co-author Jeanne Batalova suggest that federal and state officials could do more to ease the way for highly educated immigrants by providing more assistance with English classes, offering loans to offset the cost of preparing for professional certification exams, and working to harmonize assessment systems to make it easier, when appropriate, for immigrants to make use of foreign academic and professional credentials. As an example, the authors cited a Maryland plan to relieve the state's chronic shortage of nurses by helping about 150 immigrants trained as nurses in their home countries obtain certification to work in the state. Maryland's labor secretary, Thomas E. Perez, said the program was a no-brainer. "The cost is roughly $5,000 per person," he said. "When you compare that to the cost of training a nurse from scratch, that's about the most cost-effective investment I can think of." Immigrants holding college degrees, particularly those from Latin America and Africa, are much more likely to work in unskilled jobs than are U.S.-born college graduates, a study shows. These skilled immigrants are also more likely to be unemployed. LOS ANGELES -- In less than a year, Immigration and Customs Enforcement (ICE) has conducted 1,172 worksite raids across the country. In 11 months, from Oct. 1, 2007 to Aug. 31, 2008, ICE arrested 4,956 people in these operations, of which 1,022 were either wanted for criminal charges or had a deportation order against them. Of those arrested, 116 people were owners, managers, supervisors or human resources employees who were accused of hiring undocumented immigrants. Those who did not have documents to work in the country were charged with identity theft, Social Security fraud or were given an administrative charge under immigration law. This data is limited to ICE raids on companies or factories, and does not include the organization's actions in specific neighborhoods or homes. One of these raids was carried out May 12 in the meat processing plant Agriprocessors Inc., in Postville, Iowa, where 389 undocumented workers were reportedly detained. According to information disclosed by ICE to The Des Moines Register in Iowa, this raid cost more than $5.2 million in research, operational and processing expenses. This figure does not include expenses by the Department of Labor or the federal attorney general. ICE did not have data on how much has been spent on the more than 1,000 raids that have been conducted in the country between October and August. Considering that $5.2 billion was spent in the Postville raid to detain to 389 workers - or more than $13,300 spent per detainee -then for the nearly 5,000 arrests made in more than 1,000 ICE raids, ICE would have spent an estimated $66 million. "ICE specializes in wasting money and ruining lives," said Angelica Salas, director of the Coalition for Humane Immigrant Rights of Los Angeles (CHIRLA). "In these times of economic hardship, we need to do a better job of reviewing how they are spending tax dollars. Wasting funds and breaking apart working families are not consistent with American values. The worst part about these raids is that apart from the people who were trapped in the wrong place at the wrong time, many times they have been denied their right to due process," she added. On Tuesday Congressman Steve King, R-Iowa, told the Iowa press that ICE should enforce the law regardless of the cost to taxpayers. "If we start saying, 'Well, it costs too much money to enforce the law,' then we will see more and more of these radical, pro-illegal immigration activists drive more wedges between us and make it harder to enforce the law," Congressman King told the Des Moines Register. During fiscal year 2007, ICE was able to collect about $30 million in fines to employers who hired undocumented immigrants. During the same time period, from Oct. 1, 2006 to Sept. 30, 2007, some 4,940 immigrants were arrested, of which 863 had criminal records. About 90 of these were business owners or supervisors. As part of their job of impeding companies from hiring undocumented immigrants who are not authorized to work in the country, ICE has updated the records of 6.5 million employees through the E-Verify program. Something is clearly wrong with the priorities of immigration enforcement. Hungry and desperate workers go to jail and get deported. The government protects employers and seeks to turn a family-based immigration system into a managed labor supply for business. Yet national political campaigns say less and less about it. Immigrant Latino and Asian communities feel increasingly afraid and frustrated. Politicians want their votes, but avoid talking about the rising wave of arrests, imprisonment, and deportations. This month national demonstrations across the nation are protesting the silence, asking candidates to speak out. Immigrant communities expect a new deal from a new administration, especially from Democrats. They want a new U.S. president to take swift and decisive action to give human rights a priority over fear, and recognize immigrants as people, not just a source of cheap labor. * Stop Immigration and Customs Enforcement (ICE) from seeking serious Federal criminal charges, with incarceration in privately run prisons, for lacking papers or for bad Social Security numbers. * Stop raiding workplaces, especially where workers are trying to organize unions or enforce wage and hour laws. This would help all workers, not just immigrants, to raise low wages. * Double the paltry 742 federal inspectors responsible for all U.S. wage and hour violations and focus on industries where immigrants are concentrated. The National Labor Relations Board could target employers who use immigration threats to violate union rights. * Halt community sweeps, where agents use warrants for one or two people to detain and deport dozens of others. End the government's campaign to repeal local sanctuary ordinances and drag local law enforcement into immigration raids. * Allow all workers to apply for a Social Security number and pay legally into the system that benefits everyone. Social Security numbers should be used for their true purpose — paying retirement and disability benefits — not to fire immigrants from their jobs and send them to prison. * Reestablish worker protections ended under Bush on existing guest worker programs, force employers to hire domestically first, and decertify any contractor guilty of labor violations. * Restore human rights in border communities, stop construction of the border wall between the U.S. and Mexico, and disband the Operation Streamline federal court, where scores of young border crossers are sent to prison in chains every day. 1. A moratorium on raids, while protecting human and labor rights, in the first 100 days. 2. A law to give green-card visas to the undocumented and clear up the backlog of people already waiting for them. If visas are more easily available abroad, people won't have to cross the border without them. That law could also create jobs in unemployed communities, repeal employer sanctions laws that make work a crime for immigrants, and encourage labor law reform to protect workers' rights. Guest-worker programs with a record of abuse should be ended, as they were in 1964. 3. A new approach to trade policy and renegotiation of the North American Free Trade Agreement (NAFTA), so they stop causing poverty and uprooting communities, making migration peoples' only alternative for survival. Reject new trade agreements with countries like Colombia, which will cause job loss in the U.S. and spread low wages, labor violations, and displacement abroad. U.S. tax dollars, instead of being spent on the Iraq War, could expand rural credit, education and health care in Mexico and other countries, easing the pressure behind migration. There’s common ground here among immigrants, communities of color, unions, churches, civil rights organizations, and working families. Legalization and immigrant rights, tied to guaranteeing jobs for all working families, can bring people together. All workers, including immigrants, need the right to organize and enforce labor standards, the same goal sought by unions in the Employee Free Choice Act. Changing trade policy will benefit working-class communities in the U.S. while helping families of immigrants back home from Oaxaca to El Salvador. The diverse communities who need these reforms can and will find ways to seek them together. In fact, if Barack Obama wins the presidency and a larger Democratic majority takes hold in Congress, they will owe their victory to this coalition. After the election, this same coalition will need jobs and rights. But immigrant workers are going to jail now. The wave of raids continues to divide families, even as candidates hold rallies and ask for votes. In Los Angeles' Placita Olvera, activists have begun a hunger strike to stop the deportations. Marches and demonstrations are making the same point from coast to coast. Promises of change aren’t enough. For candidates who want working-class votes, the first step is to speak out. Photographer and journalist David Bacon, a Foreign Policy In Focus contributor, is the author of Illegal People: How Globalization Creates Immigration and Criminalizes Immigrants (Beacon Press). Angela Davis, the iconic social-justice activist who has been arguably the most well-known University of California-Santa Cruz faculty member of the past two decades, has officially retired as a full-time professor. Davis, a 17-year professor in the History of Consciousness Department and a former chair of Feminist Studies, has worked mostly with graduate students in recent years as she traveled the globe speaking on prison abolition and matters of oppression. She is a longtime champion of civil liberties and a prolific author on the intersections of class, race, ethnicity, gender and sexual orientation. Davis began lecturing at UCSC in the mid-1980s, and her courses on feminist theory, culture and ideology, and other topics in the humanities field became magnets for students. Davis was a big feather in the cap of a campus born during the civil rights era and already renowned for drawing radical thinkers. "She did marvelous work as a teacher," said professor Bettina F. Aptheker, a leading feminist studies scholar at UCSC and Davis' close friend of 50 years. "Her classes were always overflowing." Davis was traveling and unavailable for an interview last week, but Donna Haraway, chair of the History of Consciousness Department, said Davis retired because she wanted to travel, work with graduate students and find more balance in her life. "Many people want something from Angela; she is a fundamentally generous person," Haraway said. "It has been very difficult for her to juggle all of the demands and her own priorities." Davis, 64, who lives in the East Bay, officially — and quietly — stepped down in the spring quarter. Like many retired professors, however, Davis is expected to teach an occasional class, and even now she is continuing to work with graduate students and keep an active, activist presence on campus, colleagues said. She refused this spring to appear at a UCSC commencement ceremony while the university was at odds with union workers. Last year, Davis spoke out against the suspension of a black student involved in an October 2006 protest at a UC Regents meeting, during which numerous students blocked exits to a building. Police used pepper spray and batons to remove students, but Allete Kendrick, who was charged with battering police, was the only student suspended. Davis rallied with others outside the chancellor's office in June 2007, saying a recommendation for a three-year suspension stunk of racism. Campus officials later reduced Kendrick's suspension to two academic quarters and community service, and Kendrick pleaded guilty to two misdemeanor counts in court. Davis also championed the late Chancellor Denice Denton, applauding Denton's efforts to diversify UCSC along gender, socioeconomic and racial lines. At Denton's memorial service in 2006, Davis said Denton had fought "unrelenting homophobia" while helping to raise the profile of women and tackle diversity issues. Davis has been an activist since her teenage years in Brooklyn, N.Y., where she grew up with Aptheker in "a circle of kids who were part of the progressive and communist left," said Aptheker, whose father, Herbert, was a leader in the party. After being educated at universities in Europe and the U.S., Davis went on to teach philosophy at UCLA, where she was fired in 1969 by the UC Regents for being a member of the Communist Party. Although then Gov. Ronald Reagan, who became the Cold War hero of anti-communists as president a decade later, warned that Davis would never teach in the UC system again, Davis was reinstated after an outcry from academics and civil rights advocates. She first came to UCSC as a lecturer in the History of Consciousness Department in 1984. She was made a professor in 1991 and three years later was appointed to the UC Presidential Chair in African-American and Feminist Studies, one of many national and international distinctions earned by her scholarship. She served as the chair of the Feminist Studies Department from 2003 to 2006. Although Davis is an internationally known activist made legendary after her 1972 trial and acquittal for murder in connection with a courthouse hostage incident, she always made time for one-on-one student mentorship, campus activism and participation in faculty governance, colleagues said. "She was very generous with her time," Aptheker said. One of Davis' recent graduate students, Michelle Erai, a New Zealand native who taught feminist studies at UCSC after completing her doctorate in the History of Consciousness Department, said being a student of a legendary professor was "kind of intimidating" at first because "the classes she taught were full of really educated scholars." But Davis took a personal interest in Erai and her dissertation on violence against indigenous Maori women of New Zealand in the mid-1800s. Davis guided Erai through seven years of research and writing. "Even though she travels a lot, she was really present and incredibly thoughtful in her comments," said Erai, who is serving a post-doctoral fellowship at UC Riverside and planning an October 2009 tribute to Davis at UCSC. "She really modeled how to operate as an academic and an activist." Activism with the Communist Party is what first catapulted Davis to national fame. Not long after the battle to regain her teaching position at UCLA, the Birmingham, Ala., native was placed on the FBI's Ten Most Wanted List. A gun registered in her name was used during a hostage incident at a Marin County courthouse that ended in the death of Judge Harold Haley. In August 1970, two hostage takers forced the judge and a prosecutor from the courtroom while trying to free a man on trial. The armed men, who were shot and killed by police, were ultimately demanding the release of a trio of black prisoners known as the Soledad Brothers, whom Davis had been involved in defending along with the Black Panthers. The Soledad Brothers were accused of murdering a white guard at Soledad prison in retaliation for another white guard having killed three black inmates in what had been ruled justifiable homicide. Within days of the courtroom escape attempt, authorities were hunting Davis, saying she was equally responsible for the judge's death if the shotgun she reportedly bought in Los Angeles was used in the commission of the crime. Davis was arrested months later, launching an international movement called "Free Angela Davis." She served more than a year in jail before being cleared of all charges. The complexity and enormity of her public persona was a boon to UCSC, though colleagues say she acted like anything but a celebrity. "She has really mattered at putting this campus on the map," said Haraway, adding that Davis often served on many committees and groups behind the scenes. "What is often not seen is the attention she gives graduate students. She doesn't ride her reputation. "She is not a person who uses her considerable fame to get out of things," Haraway said, adding, "Angela could have been a diva but she never was." WASHINGTON (AP) — One in four students quits high school, a grim rate that will have to improve under new federal rules. Schools and states will now have to track and lift the graduation rates for all students, including minorities and students with disabilities, under regulations being announced Tuesday by Education Secretary Margaret Spellings. Among black and Hispanic kids, one in three drops out of school. A school might have a high graduation rate but still have a low rate for black or Hispanic students or for kids with disabilities. Making schools responsible for progress in every group of students puts pressure on schools to improve. The new rules are an attempt to extend the No Child Left Behind education law to the high school grades, and they come in the waning days of the Bush administration, which made the law a signature domestic achievement. "No Child Left Behind is largely about grades three through eight — there's not a lot of power in the law as it relates to high school," Spellings said in an interview with The Associated Press. "We haven't really tackled high school accountability, and this is a giant step toward doing that," Spellings said. She was announcing the rules Tuesday in Columbia, S.C. Under No Child Left Behind, schools have to meet annual targets for improving graduation rates. But states are allowed to set their own targets for improvement. And more than half the states have targets that don't make schools get better, according to a study last week by The Education Trust, a children's advocacy group. In some states, all that's required is that schools don't do worse. The federal government cannot force states to set more ambitious goals. But it can make states uncomfortable by holding schools accountable — publicly — for failing to graduate more students. "The power of the spotlight is what's important about No Child Left Behind," Spelling said. _States must track dropouts, along with graduates and transfers, using the same reporting system. They currently use a hodgepodge of methods that make it hard to compare states, and the National Governors Association has recommended a uniform tracking system. _Schools, starting with the 2012 school year, must meet those targets for minority groups and kids with disabilities, as well as for the overall student population, to satisfy the yearly progress requirements of No Child Left Behind. Schools that don't meet yearly goals for every group of students face consequences, such as having to pay for tutoring or replace principals. Schools will be judged on whether children finish high school with a regular diploma in four years. The secretary of education will consider exceptions for kids who take five or six years to graduate, such as students who are learning English or those with disabilities. But Spellings wants the pressure on schools to graduate students in four years. "What's going on right now in our high schools is that kids, lots and lots of minority kids, don't get to the 10th grade," Spellings said. "Rome is burning." Congress tried to address the dropout crisis as lawmakers prepared to rewrite the education law last year. But the rewrite stalled, and Spellings moved ahead with new rules. Reaction to the new rules was a bit tentative on Capitol Hill, where No Child Left Behind has grown as unpopular as the lame-duck president who championed it. Delaware Republican Rep. Mike Castle, a member of the House Education and the Workforce Committee, called the rules a "foundational first step." He added, "The fact remains that No Child Left Behind as a whole is in need of reform, and I hope it is at the top of the agenda in 2009." A warmer reception came from the lawmaker who helped Bush pass the law, Sen. Edward Kennedy, chairman of the Health, Education, Labor and Pension Committee. Kennedy spokeswoman Melissa Wagoner said the senator regards the rules as a "significant step forward." "It's a disgrace that over 7,000 students drop out of school every day," Wagoner said. "The new regulations will allow schools to innovate while Congress works on new legislation to improve and strengthen the No Child Left Behind law." The Education Trust, the group calling for more ambitious graduation goals, agreed the rules are a good foundation. "But now we need to do the hard work," policy analyst Daria Hall said. "It's going to be up to the states to step up to the plate and set meaningful improvement targets and provide the support that students and schools need in order to meet those higher expectations." Criticism has come from groups who say schools will be whipsawed between the outgoing Bush administration and a new White House, and new Congress, likely to create new graduation rules when they finally rewrite the education law. "We don't think it make sense for the secretary to be putting out regulations less than three months before the Bush administration is going out of office," said Joel Packer, lobbyist for the National Education Association. The teachers union is a longtime critic of the education law. "You're going to be getting huge levels of confusion and uncertainty, and at a time when there are significant budget cuts and pressures facing states and schools," Packer said. The country's governors, while they proposed a uniform tracking system like that in the new rules, raised concerns when Spellings first proposed the rules in April. Governors didn't envision the tracking system being used by federal officials to hold schools accountable, the NGA said at the time. The group has not said how it views the new rules.